Whilst we are waiting to find out more details about the new HTC Desire 820, HTC has added another new Android smartphone to their range, the HTC Desire 510. 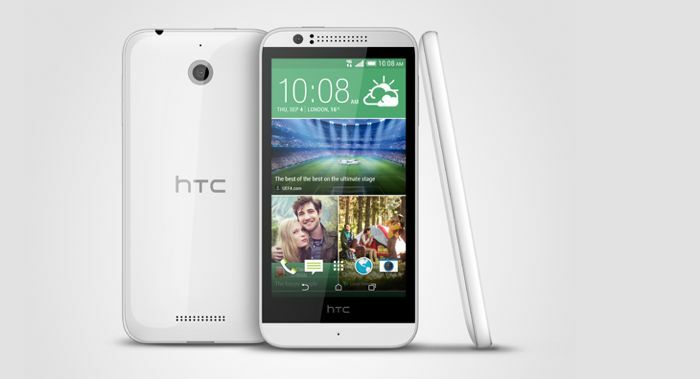 The HTC Desire 510 features a 4.7 inch FWVGA display, the handset is equipped with a quad core 1.2GHz Qualcomm Snapdragon 410 processor and 1GB of RAM. The Desire 510 also comes with 8GB of built in storage, this can be expanded by a further 128GB thanks to the microSD card slot, the handset also comes with 2G, 3G and 4G LTE. Other specifications on the HTC Desire 510 include a VGA front facing camera for video calls and a 5 megapixel rear camera, the handset also features Bluetooth 4.0, WiFi and DLNA, plus a 2100 mAh battery, and the handset will come with Android 4.4 KitKat. HTC have said that the new Desire 510 will launch in selected regions in Europe and Asia and through select mobile carriers in the U.S., as yet there are no details on pricing or a launch date.